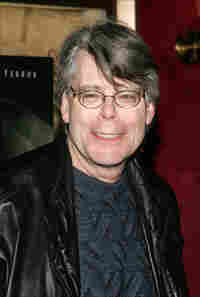 The King of Comics : Blog Of The Nation Stephen King talks comics. Stephen King is pretty much the man. I started reading his novels when I was in high school, and to this day I can't figure out which was the most terrifying. Oh, the clown in It. He was super scary. But, somehow, posessed-car Christine was no less-so, no matter how absurd the conceit. Ooooh, what about Thinner, The Tommyknockers, and The Running Man? Just typing "tommyknockers" gave me chills. I used to devour his books as soon as I could get my hands on them, and while I've fallen off in recent years (I think the last one I read was The Green Mile, as a series, which was horrifying in a different way), I can still conjure the fantastic images that raced through my head as I read those novels -- the white face of It, the rotting gypsy man in Thinner. Eeeeew. Well, now the horrormaster is giving us the images to go with the stories through a collaboration with Marvel comics. They've released the second installment of comics expanding on King's fantasy opus, the Dark Tower series. The first installment was a huge hit; so if you read it, get ready to ask King all about it!